This past weekend police in Amesbury, Massachusetts executed a search warrant at a home in a quiet residential neighborhood. At home during the raid, and charged with various drug crimes were Christopher Doty and Kristen Cataldo, both in their mid twenties. The search warrant was issued after police had obtained information regarding drug activity in the home. The information apparently came from informants and possibly a sustained surveillance or controlled drug buys. The defendants have been charged with an assortment of crimes including possession with the intent to distribute class A and class B drugs, assault and battery on a police officer, child endangerment and possession of a dangerous weapon. 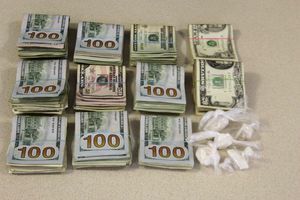 According to the article in the Newburyport News the drugs were found in containers in an undisclosed area of the home. The quantity of drugs alleged exceeds what one would expect from a user, thus suggesting an intent to distribute. The major question here is who is responsible for what. Simply executing a search warrant and finding drugs doesn’t always satisfy the district attorney’s burden of proving felony drug cases. Nor does it show who, Doty or Cataldo, was responsible for what. As I have often discussed, presence alone will not get the prosecutor a conviction. Police officer observations made during surveillance activities is often flawed as well. Unless the officers participated in a controlled buy it is difficult to establish criminal activity based on simple observations. In cases like this cops often report the following to support their suspicions: seeing what appeared to be exchanges at the door of the home, unusually high foot traffic by the house, large numbers of visitors appearing at the home for a short period of time, people leaving the property carrying an object that they didn’t have when they entered the property. All of these observations are consistent with non-criminal behavior was well. Moreover, most of this “activity” is not video recorded or photographed thereby lending more doubt to the allegations. Finally, there is always the attack on the validity of the search warrant itself that can result in the dismissal of a drug case. The article I read about this case states that “[t]he warrant was served without incident”. It further stated that an officer sustained a minor injury when attempting to gain entry to the home. I am not sure where the assault and battery on a police officer comes from but clearly this article suggests that this crime is not real in this case. What About the Child Endangerment Charges? Massachusetts General Laws Chapter 265 Section 13L states that anyone engaging in wanton or reckless conduct that presents a risk of serious bodily injury to a child is guilty of a crime. This law is extremely broad. Judges are afraid to dismiss these charges in most cases. Prosecutors are likely to use this charge as leverage to either get one party to testify against the other or to force a resolution of the case. The collateral consequences of a conviction can be devastating to the accused and his or her family. What is interesting about this case is that there are no minimum mandatory sentences associated with any of the charges. Resolving this case short of trial is foreseeable particularly if Doty and Cataldo have no criminal records or minimal criminal records. There are defenses to all cases. Our office has been defending drug cases in Essex County Massachusetts for nearly thirty years. Call us now at 617-263-6800 or send us an email. Lets get started with defending your case now.